Oh my goodness ! This ‘time’ thing is still moving way too fast this year isn’t it? 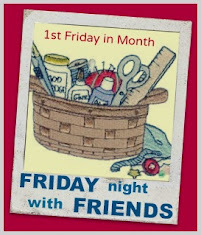 Thank the Lord for Maria who reminded me we are FNSI-ing tomorrow night. Sorry for the late sign- ups but I have been distracted with the weather issues and such. All is good here now though! So let’s not waste any more time. Sign ups are below Let’s have some Friday night fun! I just looked at the calendar and thought the same. 😅 Time flies by this year. I will join tomorrow! Oh yes, the year is flying by. I hope to be sewing along. I have plans for tonight! I hope that you are "drying out" and getting back to normal. Hi Wendy, So happy to see your puss back home. I’m crocheting a rug with cotton / acrylic yarn my son is going to love it . His home is a renovated church at Herberton Sth west of Cairns, he loves my quilts and wall hangings his house is full of them . They cover every surface 😬. It’s great to see them being used . I’m still in SEQld hope to go home weather permitting Saturday week on the spirit of Qld . Probably coming through Ayr early Sunday morning. Looking forward to a fun, productive evening with all you! Totally agree, time is flying fast ........bit like the wind we are currently having! It's crazy at present isn't it!